Let’s Play – a charity providing after-school and holiday activities for over 100 disabled children in Oxfordshire –has received a warm boost to the new year with the installation of a heating system at its new, larger premises this month. ‘Heat for Good’ – an open membership charity install programme of industry suppliers and installers, administered by Viessmann on behalf of all parties – saw eight installers give up their time for free to fit a Viessmann Vitodens 200-W boiler, LPG storage cylinder from Calor, Warmastyle radiators from QRL Radiator Group, various parts from local independent merchant Banbury Heating Supplies, various parts from national merchant Plumbase, a Spirocross AX 100 from Spirotech and Maincor items from independent merchant Ebberns. Viessmann responded to Let’s Play’s ‘Big Build Appeal,’ which aims to raise £70,000 to transform its new premises in Banbury into a safe, fun and inspirational space for the children, young adults, parents and carers that benefit from the centre’s play and support groups. Discussing the project with a group of like-minded installers led to the formation of the Heat for Good initiative, undertaken over two Saturdays in January. 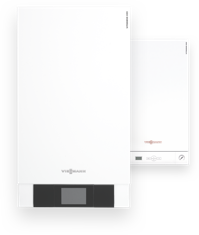 Darren McMahon, marketing director at Viessmann, says: “Let’s Play’s move to larger premises has been a significant undertaking and we are very happy to have been in a position to help, not only supplying a free boiler, but facilitating the complementary supply of parts and equipment from industry partners. The real stars are the installers, who came from as far as Brighton and Lincolnshire over two weekends at their busiest time of year, and we’d like to thank them for their commitment to projects like this one. “Heat for Good" has been borne out of a corporate-level desire at Viessmann to continue a formal charity support programme that uses the skills and resources of a collective of installers and heating industry suppliers as a force for good in the community. We aim to undertake a number of similar projects throughout the year. Heat for Good is a flexible, inclusive initiative for companies and heating engineers that want to give something back,” concludes McMahon.